Hornby is getting ready to blow the minds of kids next Christmas with the greatest mashup in toys since robots started transforming into cars and trucks. 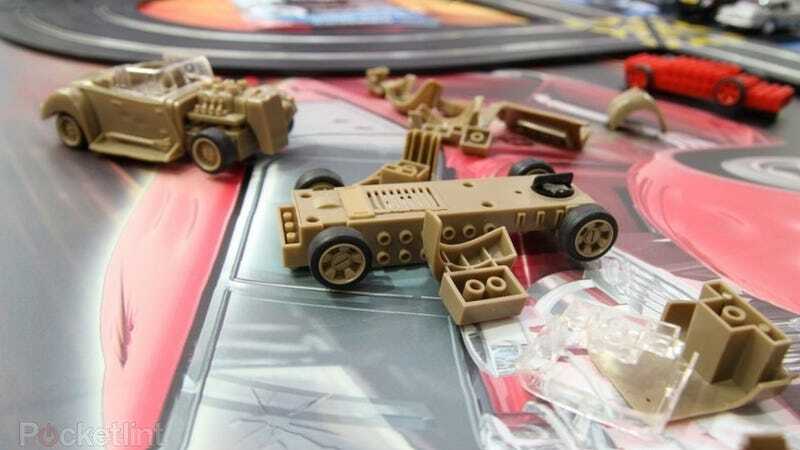 The company is taking its popular Scalextric slot car line to the next level by introducing vehicles that can be assembled like a building toy. You heard that right. Instead of racing some exotic sports car around a track, you can take control of your own vehicular Frankenstein creation with the Scalextric Quick Build Demolition Derby Set. Available later this year for about $160, it even encourages kids to crash their rides into each other since they're easy to fix. And, more importantly, they also boast the holy grail of building toy features, complete compatibility with Lego.